A Martyr of ‘Laudato Si’? Less than two weeks after the March 3 murder of acclaimed indigenous Honduran activist Berta Cáceres, Nelson García, another Honduran activist, was murdered outside his home. 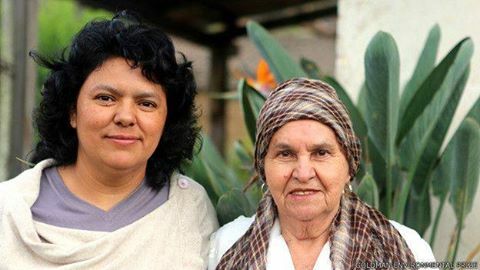 Both García and Cáceres were members of the Council of Popular and Indigenous Organizations of Honduras (COPINH), the indigenous rights organization Cáceres co-founded. 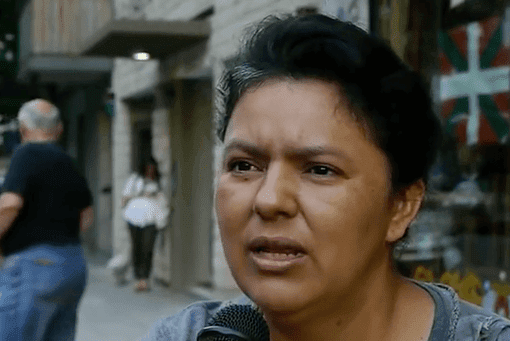 Though Honduran police have claimed Cáceres’ murder was the result of an attempted robbery, many believe it was a political assassination, intended to silence her. Cáceres’ family, along with more than 200 human rights organizations and now the Holy See, are calling for an independent international investigation into the crime. “I want to express my desire that there be an independent and impartial investigation into what happened in order to resolve this horrendous crime as soon as possible,” wrote Cardinal Peter K.A. Turkson, President of the Pontifical Council for Justice and Peace, in a letter addressed to Cáceres’ family and friends. For those closest to Cáceres, it’s a small but encouraging sign. “It’s justifying what we’ve all been saying: that Bertita’s had a profound effect around the world,” Cáceres’ nephew, Silvio Carrillo, told Sojourners. And, by some measures, that legacy can be found everywhere from remote villages in Honduras to papal encyclicals. 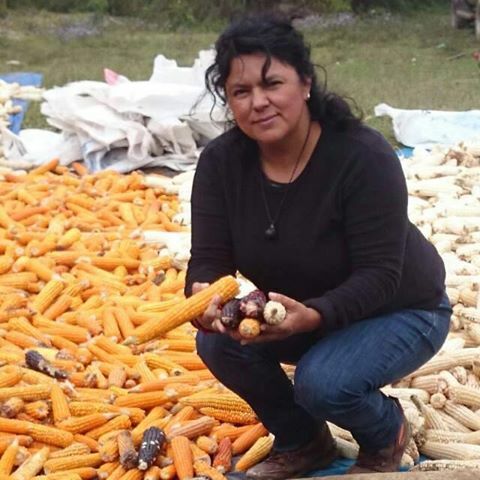 Berta Cáceres knew persistence was dangerous. “Giving our lives in various ways for the protection of the rivers is giving our lives for the well-being of humanity and of this planet,” she said on April 20, 2015, after accepting the Goldman Prize for her leadership in a nonviolent campaign that pressured the world’s largest hydroelectric company to withdraw from the Agua Zarca dam on the Gualcarque River. The deadly environment for activists is closely tied to recent Honduran history. Following the 2009 coup, in which democratically elected Honduran president Manuel Zelaya was deposed, the new government declared Honduras “open for business” and granted profitable contracts to transnational companies looking to capitalize on Honduran natural resources — including resources on indigenous land. When leaders like Cáceres demanded the rights guaranteed to indigenous people by the U.N and the International Labor Convention — including the right to determine how indigenous land is used — it wasn’t great for business. The death threats followed. 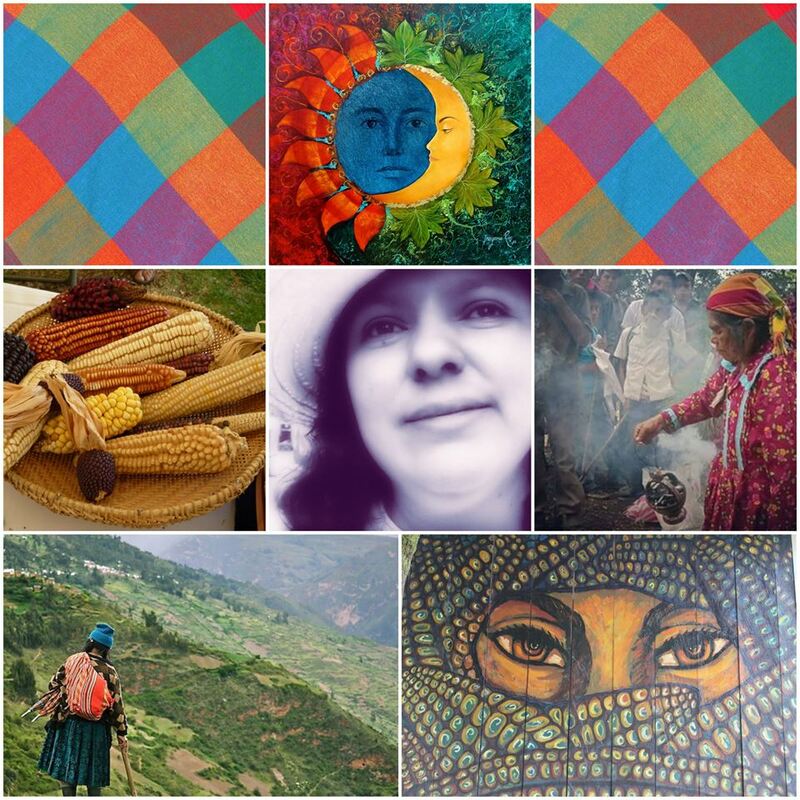 Cáceres’ words about “giving our lives” not only underscore her persistence and courage but also her deeply rooted indigenous spirituality — an understanding that the well-being of humanity depends on the well-being of the earth. “When we started the fight for Rio Blanco, I would go into the river and I could feel what the river was telling me,” Cáceres said in 2015. Image via Goldman Environmental Prize. Today, the Lenca people live in eastern El Salvador and western Honduras. But according to David Escobar, a Salvadoran Lenca and indigenous activist based in California, the concept of compostura remains an essential part of Lenca culture. “‘Permission-giving’ is a common value that is still practiced today among the Lencas of Honduras and El Salvador,” he explained. Consequently, when heavy machinery arrived on the Gualcarque River in 2011 to begin constructing a dam, without the permission of the Lenca people, the Lenca viewed it not only as the destruction of their livelihood and water supply, but also as the destruction of a sacred site and complete disregard for their indigenous rights. 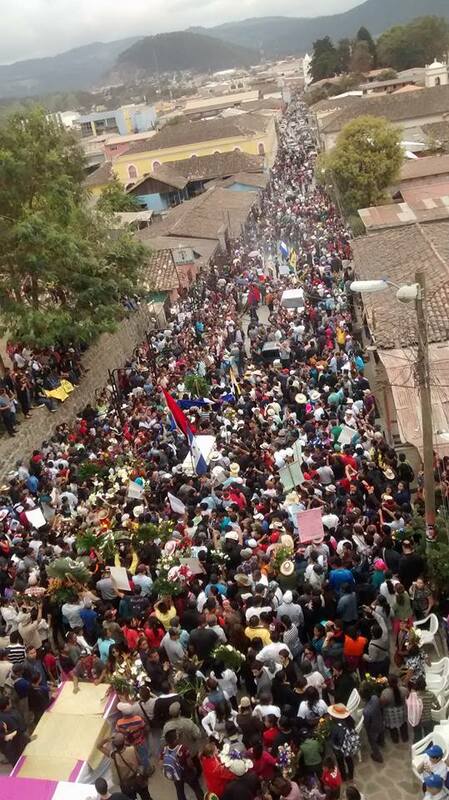 So with the help of Cáceres and COPINH, the Lenca people fought back: On April 1, 2013, members of the Lenca community created a human road block to the construction site. They held out for 21 months. As part of their defense, the Lenca people made traditional composturas, offering food and drink to the earth and asking the spirits of the earth, water, and sun for protection as they worked for justice. They also engaged the indigenous tradition of caminata, walking as a community to the dam headquarters while offering prayers or incense. Cáceres identified these actions as a major turning point in halting construction on the Agua Zarca dam. “In our fight to protect the Gualcarque River, the most powerful element has been the Lenca people’s spirituality and an impressive tenacity in the struggle that continues to this day,” she said. Photo of Berta Caceres as a young child. Image via Betsy Shirley/Sojourners. “We had a particular history of close friendship and common struggle,” he said. A few days later, with the help of Fr. Fausto Milla, a diocesan priest who was another of Cáceres’ closest allies, Padre Melo conducted Cáceres’ funeral. Cáceres, like many Lenca people, was raised Catholic, but she herself identified most closely with the practices and beliefs of her indigenous heritage. Though Cáceres had the support of local leaders like Frs. Coto and Milla, Carrillo said his aunt had a complicated relationship with the Catholic Church. “Certain parts of the Catholic Church have not done well by the indigenous population there,” explained Carrillo. For Cáceres, this complicated relationship included ongoing legacy of colonization by Spanish Catholics — which, by conservative estimates, cut the indigenous population in half — as well as Cáceres’ ongoing struggle with the Honduran hierarchy. According to Cáceres, Cardinal Óscar Andrés Rodríguez instructed churchgoers not to work with COPINH or listen to radio stations that were too critical of the Honduran state. Throughout his tenure as archbishop, Cardinal Rodríguez has also been accused of endorsing the 2009 military coup by reading “a statement on national television that seemed to bless the action.” The cardinal has denied these claims. Cardinal Rodríguez’s feelings about Cáceres seem unchanged by her murder. Carrillo told Sojourners that although someone from the apostolic nunciature in Buenos Aires — the Holy See’s embassy in Argentina — had called Cáceres’ mother, offering condolences on behalf of the pope, no one in his family had heard from the highest-ranking Catholic in Honduras. Jenny Atlee, who has worked on human rights issues in Central America for more than three decades, confirmed that Cardinal Rodríguez had made “disparaging remarks” about Cáceres and COPINH. But Atlee also noted that the discrepancy between the hierarchy and grassroots of the church wasn’t unusual. “There’s a real gap between those two positions … with the top levels of the Catholic church being very allied with the powers that be … and another layer of church which is more rooted in the lives and struggles of the poor and accompany those struggles and interpret and reflect on scripture from that reality,” she said. A martyr of Laudato Si? But when it comes to the powers that be vs. the poor, at least one person on top level of the church seem to be squarely on the side of the latter: Pope Francis. In 2014, Cáceres met Pope Francis at the first World Meeting of Popular Movements at the Vatican. During that meeting, the pontiff assured delegates that their concerns — a desire to have “land, housing, and work” — would have a place in his then-forthcoming encyclical on the environment. “It is essential to show special care for indigenous communities and their cultural traditions,” he wrote in the fourth chapter of Laudato Si: On Care for Our Common Home, his 2015 encyclical. He also acknowledged that “agricultural or mining projects” posed a serious threat to the survival of indigenous people. Even the broader themes of Laudato Si sound like the interconnected worldview of indigenous spirituality that was so central to Cáceres’ work. “A true ecological approach always becomes a social approach,” wrote Pope Francis. Perhaps the best suggestion for how we memorialize Cáceres comes from Naomi Klein, a secular activist who was invited to discuss Laudato Si at the Vatican. “Particularly in Latin America, with its large indigenous populations, Catholicism wasn’t able to fully displace cosmologies that centered on a living and sacred Earth, and the result was often a Church that fused Christian and indigenous world views,” she wrote in the New Yorker. As Klein points out, the lines of influence flow from indigenous spirituality to the encyclical, not the other way around. 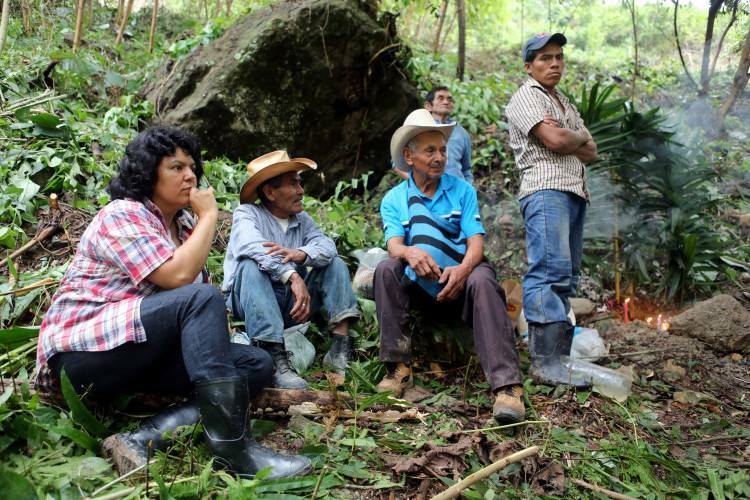 Or more to the point: Berta Cáceres is not a martyr in the tradition of Laudato Si. Laudato Si is an encyclical echoing what indigenous leaders like Cáceres have been saying for centuries. Betsy Shirley (@betsyshirley) is Assistant Editor at Sojourners. Honduras: Why Was Berta Cáceres Assassinated? A few numbers begin to reveal why Honduran indigenous leader and global movement luminary, Berta Cáceres, was assassinated on March 3, 2016. According to the Council of Popular and Indigenous Organizations of Honduras (COPINH), more than 300 hydroelectric dams are planned for Honduras, of which 49 are on COPINH lands. Eight hundred seventy-two contracts have been handed out to corporations for mining alone, with many others created for mega-tourism, wind energy, and logging projects. The majority of these are planned for indigenous lands. Of those, all are in violation of International Labor Organization Convention 169, to which Honduras is a signatory, allowing free, prior, and informed consent by indigenous peoples before development may take place in their territories. The many planned extraction projects – in a country slightly larger than the state of Virginia – add up to the need of the Honduran and US governments to subjugate the population. Quiescence and compliance are essential for the national elite and multinational corporations to make their profits. So here are a few more relevant numbers. Honduras has 12,000 soldiers – one for every 717 people, for a county not expected to go to war. Its 2013 “defense” budget was $230 million. Since 2009, the US has invested as much as $45 million in construction funds for just one of those bases, Soto Cano, commonly known as Palmerola. Last year, US taxpayers footed $5.25 million in direct military aid, and much more in training for 164 soldiers at the School of the Americas/Western Hemisphere Institute for Security Operation. Three hundred seventy-two US military personnel are in the country. Given that state control is often attained through violence, a few more figures become relevant. One hundred one environmental activists were killed in Honduras between 2010 and 2014, making it the most dangerous country anywhere in which to try to defend the Earth. Nine land defenders were attacked just yesterday, March 15, between the time we began writing this article and when we completed it. COPINH member Nelson Garcia, who had been helping recover lands on Rio Lindo, was assassinated in his home on March 15 while the Rio Lindo community was forcibly evicted. This brings to 14 the number of COPINH members who have been murdered since the group was founded in 1993. A member of COPINH’s coordinating committee, Sotero Echeverria, was threatened with capture by police. Echeverria is one of the 3 members of the group who have been framed by the government for Berta’s murder. Also yesterday, early in the morning, police agents arrested 7 members of United Campesino Movement of the Aguan (MUCA by its Spanish acronym), including the president, Jose Angel Flores. Flores and six other MUCA activists, including his family members, were arrested and taken to the police station. 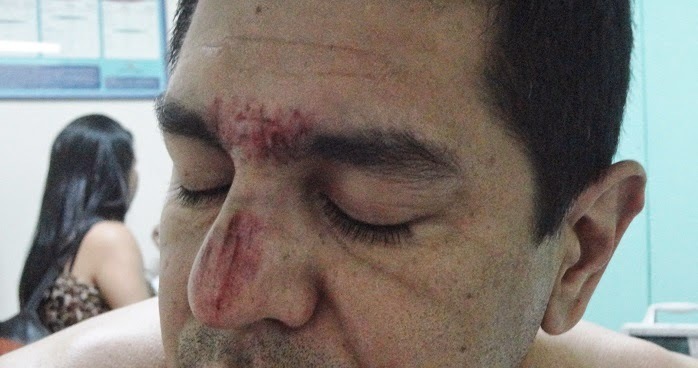 Flores has protective measures from the Inter-American Commission on Human Rights because of the danger he, like all those organizing in the Bajo Aguan region, face. Berta did, too. Protective measures have the weight of toilet paper with the Honduran government. Of the countless Hondurans who put their bodies on the line every day, no individual has more prominently encouraged or strategically organized dissent than Berta. No Honduran has more visibly spread the message of rebellion to the Americas, nor more audibly urged that rebellion to spread throughout the Americas. “Our call to this continent is that we really push the need to unite ourselves and to create strategies between social movements and left governments,” Berta told a large international gathering of prominent leftists in Havana in 2009. Berta’s last stand was against a dam being illegally constructed on the sacred Gualcarque River in the community of Rio Blanco. In addition to the internationally financed company DESA, behind the dam was the World Bank, and the largest dam company in the world, Sinohydro, which is owned by the Chinese government. For more than a year and a half, the villagers of Rio Blanco were able to halt the dam construction with nothing more than their bodies, a small trench and fence across the road leading to the river, and their political militance. Berta and others, meanwhile, took the case to the world, building worldwide alliances which brought enough pressure to force the World Bank and Sinohydro to pull out. This was too much for DESA and the Honduran government. 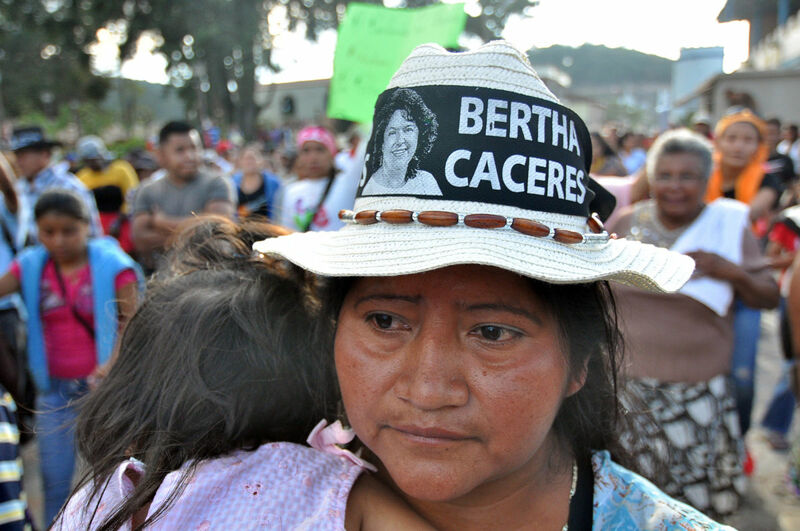 The multi-year efforts to eliminate Berta – through threats, kidnaping attempts, charges of sedition, and more – finally succeeded in the form of a bullet piercing her flesh. Who hired the assassin is unknown. What is known – given very explicit statements and actions of the company and the government in the days and weeks preceding her assassination – is that both were behind the act. Yet even death cannot subdue Berta. In the days since her murder, the notoriety of her person and her message has multiplied exponentially around the word. 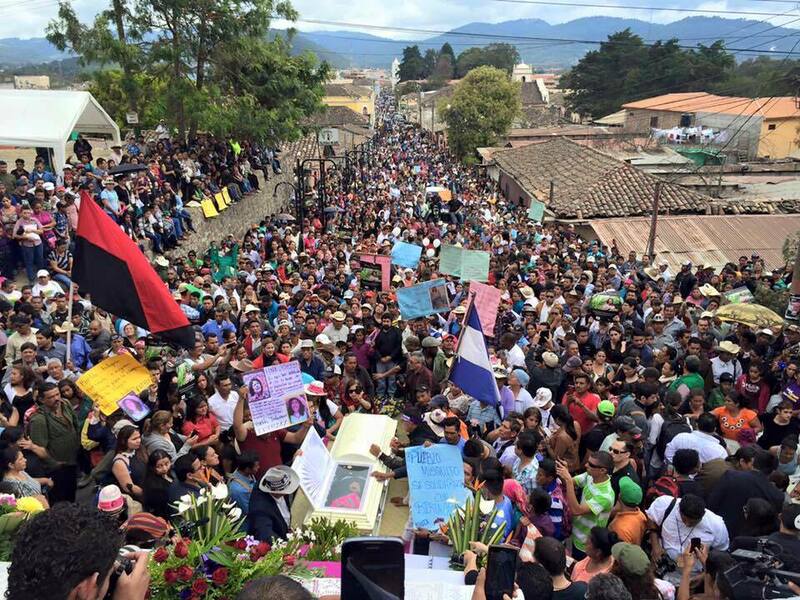 The current level of global action against Honduran government impunity, US government’s support for it, and pillaging by transnational capital has reached heights that Berta could only have dreamed of. Click here for actions you can take in solidarity. The Lenca voiced their opposition as soon as the plans became public, around 2011—first with formal votes and entreaties, and, after those were ignored, with road blockages and demonstrations. In the spring of 2013, these turned to violent confrontations with police, who arrested Lenca protesters en masse. That summer, soldiers based out of DESA’s local headqu arters opened fire on a crowd of residents, killing one indigenous leader and seriously injuring several others. Cáceres was on the front lines from the start, having founded the group that has organized much of the opposition, the Council of Popular and Indigenous Organizations of Honduras (COPINH). 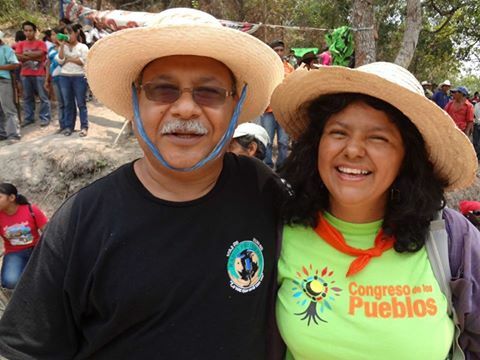 Padre Melo and Berta were both children raised in poor peasant families and shared the same hopes and struggles for the poor. and in many ways remains responsible for the chaos that ensued.) It was in the aftermath of the coup that Congress awarded DESA its dam contracts, even while the principal financiers of the company were roundly denounced as key supporters of the 2009 uprising. A Corporation Dinant worker repairs an irrigation system for oil palms in the Bajo Aguan region of Honduras’ northern coast, August 26, 2011. The violence over land titles in Bajo Aguan is the most volatile example of the social divide that burst into view a few years ago. (Photo: Edgard Garrido Carrera / The New York Times)As one of the fastest growing global commodities, palm oil has recently earned a reputation as a major contributor to tropical deforestation and, therefore, to climate change as well. About 50 million metric tons of palm oil is produced per year – more than double the amount produced a decade ago – and this growth appears likely to continue for the foreseeable future. Because oil palm trees, native to West Africa, require the same conditions as tropical rainforests, nearly every drop of palm oil that hits the global market comes at the expense of natural forests that have been, or will be, burned, bulldozed and replaced with plantations. With deforestation garnering headlines due to forests’ crucial role in regulating the climate, global commodity producers, from Nestle and Unilever in Europe, to Cargill in the United States to Wilmar International in Indonesia, are recognizing the need to provide products that are “deforestation-free.” Other corporate-led initiatives like the public-private Tropical Forest Alliance that promises to reduce the deforestation associated with palm oil, soy, beef, paper and pulp, and the recent New York Declaration on Forests signed at the UN Climate Summit in New York, suggest that saving the world’s forests is now squarely on the corporate sustainability agenda. But what is being left behind is the other significant impact of palm oil and other agro-industrial commodities – namely human rights. Commitments to protect forests and conservation areas can, if well implemented, address environmental concerns by delimiting the areas of land available for conversion to palm oil. But natural resource exploitation is inextricably linked to human exploitation, and such commitments do little to address this. Owned by Miguel Facussé, one of the wealthiest men in Honduras, Dinant has been associated with the killings of over 100 peasant farmers, and appears to be involved in a virtual terror campaign to ensure control of a large swath of land in the Lower Aguan Valley near the Caribbean coast of Honduras. While credible human rights groups like Human Rights Watch denounce the killings and note that “virtually none of the crimes are properly investigated, let alone solved,” Dinant continues to enjoy financing from the World Bank’s International Finance Corporation, support from the United Nations Clean Development Mechanism, and brand relationships with multinational consumer goods companies such as Mazola Oils. The Bajo Aguán Valley, one of the most fertile regions in Honduras, has long been a center of agrarian conflict. In her book Grabbing Power: The New Struggles for Land, Food and Democracy in Northern Honduras, researcher Tanya Kerssen reaches back to the 1950s to show how a struggle between farmers’ associations and multinationals Standard Fruit and United Fruit Company set the scene for the land concentration that reigns today. Decades of peasant struggle led to a brief period in the 1970s when the government distributed land to smallholder farmers from other parts of the country, who then formed cooperatives to bring crops to market. The embattled region became briefly known as the “capital of land reform” – but these reforms have long since been rolled back, in part due to the country’s need to pay back its foreign debt. In a few years in the early ’90s, more than three quarters of the land in the Aguan Valley was re-concentrated into the hands of a few Honduran oligarchs. In the 1980s, a combination of loans from the InterAmerican Development Bank (IDB) and bilateral aid allowed the Honduran government to construct a road network in the Aguan, as well as three palm oil processing plants and a modern port. Hoping to pay down its large debts to the IDB, the state-controlled mills bought palm from peasant cooperatives at rock-bottom prices, in return promising peasants eventual control over the processing plants. In the early ’90s, an “agrarian modernization law” was passed with support from the World Bank and the US Agency for International Development that again stimulated large land purchases and made the Aguan Valley the national poster child for re-concentration of land. Over the next several decades, cooperatives and smallholders were coerced into selling their land to powerful landlords, often through intimidation and manipulation, from bribes of peasant leaders to threats and outright violence – tactics that continue to reign in the region to this day. Peasant farmers in the Aguan again found themselves as day laborers on large plantations, working hard for little pay. In a few years in the early ’90s, more than three-quarters of the land in the Aguan Valley was re-concentrated into the hands of a few Honduran oligarchs. One of these landlords was Miguel Facussé. Human Rights Watch confirms that government security forces themselves have committed human rights violations including arbitrary detentions and torture. Among the wealthiest men in Honduras – and now the richest – Facussé established a series of food commodity businesses, culminating in 2005 with Grupo Dinant. Dinant produces cooking oil, snacks, and other food products, as well as biofuels. To do this, the company took a $30 million loan from the World Bank’s International Finance Corporation and a $7 million loan from the InterAmerican Investment Corporation (IIC). Trade liberalization also enriched Facussé: Both Unilever and Proctor & Gamble gained important footholds in Central America by acquiring distribution networks and brands owned by Facussé. The profits and the status conferred on Dinant through such purchases enabled more land purchases in the Aguan Valley, furthering the concentration of land. In 2001, farmers in the region organized as the Unified Peasants Movement of the Aguán Valley (MUCA), with the aim of reclaiming their land rights through the courts. With legal routes exhausted, in 2006 they began land occupations. In June 2009, they occupied one of the palm oil processing plants of Exportadora del Atlántico, part of Grupo Dinant, provoking then-President Manuel Zelaya to promise to investigate the land rights issue. However, Zelaya was removed in a coup later that month. While violence had long been present in the region, the months following the coup saw a dramatic increase in killings. As of October 2010, a year after the coup, 36 small-scale farmers had been killed. None of these cases were resolved or brought to court, but as a result of the escalating violence and murders, the government militarized the area. During this time, Dinant became implicated in the murder of dozens of peasants. The government was eventually forced to convene both MUCA and the company to negotiate a deal in June 2011. The government agreed to distribute some 30,000 acres to the farmers, including 12,000 acres where oil palm has been planted by Exportadora del Atlántico – not by giving the land back, but by selling it at market prices. The company agreed to the proposal, but later announced it wanted to renegotiate it. In protest, other peasant groups began land occupations, exposing themselves to violent evictions by state security forces. A 2012 public hearing on the human rights situation in the peasant communities of the lower Aguán concluded that the agrarian conflict there is the “most serious situation in terms of violence against peasants in Central America in the last 15 years.” By April 2013, at least 89 peasant farmers had been killed in the Aguan Valley. Killings have continued with complete impunity, the region around the plantations has been heavily militarized, and long-standing peasant communities have been violently evicted. Precise numbers are difficult to verify however; to quote Human Rights Watch, “Honduras is notorious for ineffective investigations.” Former Attorney General Luis Alberto Rubi told the Honduran congress in 2013 that 80 percent of homicides go unpunished; of 73 killings recognized by the government to be linked to land conflicts, seven have been brought to trial, and none has resulted in conviction. Human Rights Watch affirms that government security forces themselves have committed human rights violations including arbitrary detentions and torture. In 2008, the International Finance Corporation (IFC) of the World Bank approved a $30 million loan to Dinant, to be delivered in two tranches of $15 million each. When the June 2009 military coup ousted the democratically elected president and violence in the Aguán Valley escalated, the IFC put disbursement on hold, but the first tranche was eventually distributed. This proved to be far from the case, as the IFC could have easily foreseen. Following the coup, Dinant became implicated in the murder of dozens of peasants. Killings have continued with complete impunity, the region around the plantations has been heavily militarized, and long-standing peasant communities have been violently evicted. Private security guards outnumber police in Honduras by a ratio of 5 to 1. Given the impunity that reigns in the region, reform of Dinant’s security force would prove to be a challenge. Human Rights Watch investigated 29 killings in the Aguan Valley and reports that 13 of the 29 killings, and one disappearance, suggest the possible involvement of private guards. 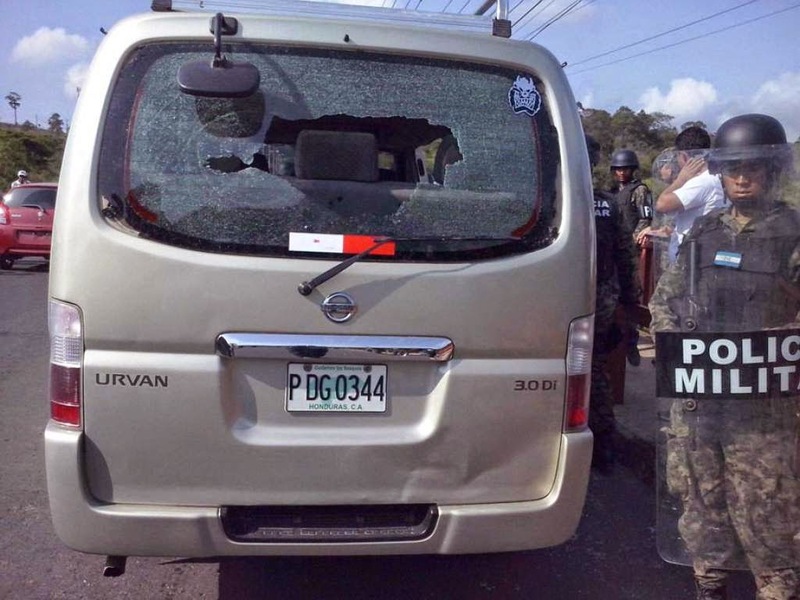 The same report notes that Honduras has more than 700 registered private security firms, and numerous unregistered firms; the UN working group on the use of mercenaries reports that private security guards outnumber police in Honduras by a ratio of 5 to 1. In December of 2013, an independent audit by the CAO Ombudsman of the IFC, a semi-independent body charged with overseeing the environmental and social safeguards applied to IFC loans, issued a stinging critique of the IFC for having failed to follow its own requirements. A lucrative agro-industrial crop like palm oil, in a context of entrenched corruption and an authoritarian regime, lends itself to land grabbing and agrarian violence. Still, the IFC rejected several of the CAO findings. Despite a list of demands sent to the World Bank by 70 civil society groups, the World Bank has yet to withdraw funding from the project. Instead, the IFC put in place an “enhanced action plan,” which requires Dinant to adopt voluntary security protocols and to “engage stakeholders” in order “to better understand the issues currently impacting communities and to bring strategic focus and overall coordination to Dinant’s existing corporate social responsibility programs, such as funding for school teachers, clinics, and conservation programs.” Nothing in the plan considers turning over land to local communities, and there is no mention of sanctions, or loan withdrawal for failure to comply. The problem is not the crop, but the agro-industrial model; decades ago with Standard Fruit, Honduras was the archetype of the banana republic; today with Dinant it’s an oil palm republic. The IFC’s refusal to disengage is especially troubling in light of the World Bank’s recent safeguards review, which seeks to weaken the bank’s environmental and social safeguards and to shift responsibility toward borrowing governments themselves. In October, 2014, over 100 civil society groups denounced the World Bank’s efforts, but no concrete response has been forthcoming. The rise of Corporacion Dinant as a leading palm oil producer in Central America is inseparable from its history as part of a long, violent and ongoing backlash against agrarian reform in Honduras. But it is also indicative of the ways in which a lucrative agro-industrial crop like palm oil, in a context of entrenched corruption and an authoritarian regime, lends itself to land grabbing and agrarian violence. Anecdotal sources suggest that most of Dinant’s palm oil is exported to Mexico, where it is bought by Grupo Bimbo . . . largely responsible for a vast increase in Mexican consumption of palm oil in junk foods. Palm oil production relies on cheap labor and large expanses of land to turn a profit. In order to be economically viable, nearly 10,000 acres of land are required to feed a single palm oil mill. But the economy of scale that palm oil demands to reap a profit is generally true across commodities – while palm oil is the particular villain in the case of Grupo Dinant, the problem is not the crop, but the agro-industrial model; decades ago with Standard Fruit, Honduras was the archetype of the banana republic; today with Dinant it’s an oil palm republic. Researchers have recently introduced the term “flex-crops” for crops that can be used for food, feed, fuel or industrial materia, and which lend themselves to land grabbing due to growing demand and the land area required to grow them. Thanks to years of campaigning by environmental and human rights groups, the palm oil sector is undergoing what may be a sea-change: Palm oil producers and traders like Wilmar International, Golden Agri-Resources, and Unilever are adopting voluntary policies to improve their practices; consumer-facing companies including Colgate-Palmolive, General Mills, Kellogg’s and Procter & Gamble have strengthened their palm oil sourcing policies. But the pressure to make these companies change comes from consumer companies who fear the brand damage that comes from sourcing palm oil that threatens orangutans and Sumatran tigers, and from financiers who have certain, albeit minimal, standards to uphold. Anecdotal sources suggest that most of Dinant’s palm oil is exported to Mexico where it is bought by Grupo Bimbo – the commodity food conglomerate largely responsible for a vast increase in Mexican consumption of palm oil in junk foods. A campaign targeting Grupo Bimbo could gain some ground, but given the massive crisis of instability and conflict in Mexico, it seems unlikely. Dinant holds the license to use the Mazola trademark in Central America, but it is unclear whether the North American Mazola brand has any legal ties to Dinant that make it susceptible to consumer pressure. Dinant is financed largely by a Honduran bank also backed by the IFC, and no US and EU financiers appear to hold shares in the company. As long as the IFC refuses to withdraw its financing and to push the company toward reforms that are unlikely to address the root problem, Dinant will maintain some credibility and will continue to produce some of the world’s bloodiest palm oil.